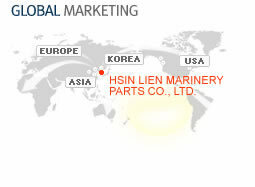 Hsin Lien Machinery company established in 1988, and obtained the ISO 9002 in 1998, and ISO 2001 in 2001. For years we specialized in processing of brass casting, including brass, the high tensile strength brass , the bronze, the aluminum bronze, the phosphor bronze, the leaded bronze, the nickel silver and so on. Hsin Lien Machinery is a your complete brass casting source.